This blast from the past (circa 1916) is the stud card for Ponto- a champion brindle bully hailing from Michigan by way of Never Never Land. This 22 lb boy, owned by French Bulldog breeder and aficionado F.A. Bailey was featured in Volume 25 of The Dog Fancier in 1916 where he is touted as the sire to a number of blue ribbon offspring around the country. 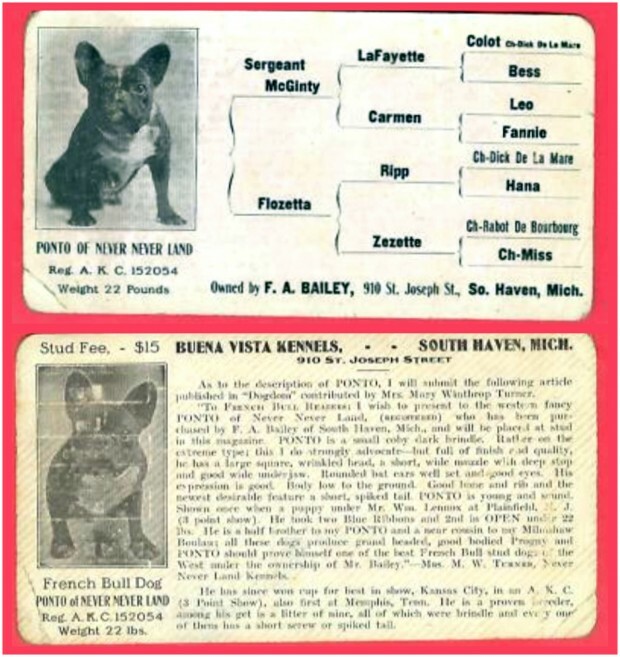 Ponto is quite the little piece of French Bulldog history.